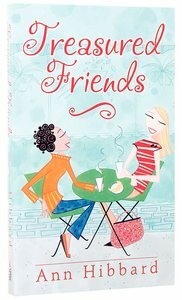 Drawing insights gleaned from her own experiences, Hibbard shares ways for us to express true friendship to others and emphasizes the need for investing ourselves in our friendships. During times of transition, difficulty, and over commitment, we often lose the friendships we spent so much time and energy cultivating. The author guides us through different situations that may occur over the life of a friendship and offers ideas for maintaining closeness with friends when difficulties arise. In a format conducive for either personal study or group use, Hibbard shows ways to reach out to others for friendship that both fulfils individual needs and furthers God's kingdom, showing the wonderful transformation it can make in our lives and in the lives of others. Many women long for true, intimate friends who will listen, encourage, and hold them accountable. In a format conducive to either personal study or group use, Hibbard draws helpful insights gleaned from her own experiences and offers practical guidelines for establishing Christ-centered friendships. Directs Christian women in developing deep friendships. Covers such topics as how to listen, how to encourage, and how to maintain a friendship through transition. Hibbard is a popular speaker for women's groups around the country and the author of Family Celebrations at Thanksgiving, Family Celebrations at Christmas, Family Celebrations at Easter, and Family Celebrations at Birthdays. She lives in Falls Church, Virginia.